Football seen through the eyes of some of the best directors of the world. Imperfect but much needed experiment. Already in production when Rosales got several Goya awards for the outstanding "La soledad", "Tiro en la cabeza" echoes another experiment made by Alan Clarke in the late 1980s called "Elephant". It is a cold, austere work that doesn't allow the viewer to feel for or identify with the characters for most of its duration. Rosales makes sure of this by using an almost surveillance-like camera-work. It all feels very distant. 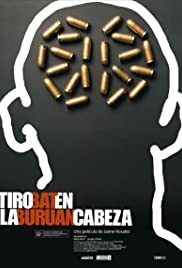 Sound-wise, the Spanish filmmaker keep us away from the dialogue too; politically mistreated and overexploited feature in the Basque conflict that, although present in the film, we don't have access to. The general decontextualization and the suppression of the ideological element in the film help to accentuate the absurdity in the final events. Overall, an imperfect but much needed both exploration of the possibilities of cinema and view on the Basque conflict.